Sara Khan excited to start shooting for horror flick with Bhushan Patiyal. 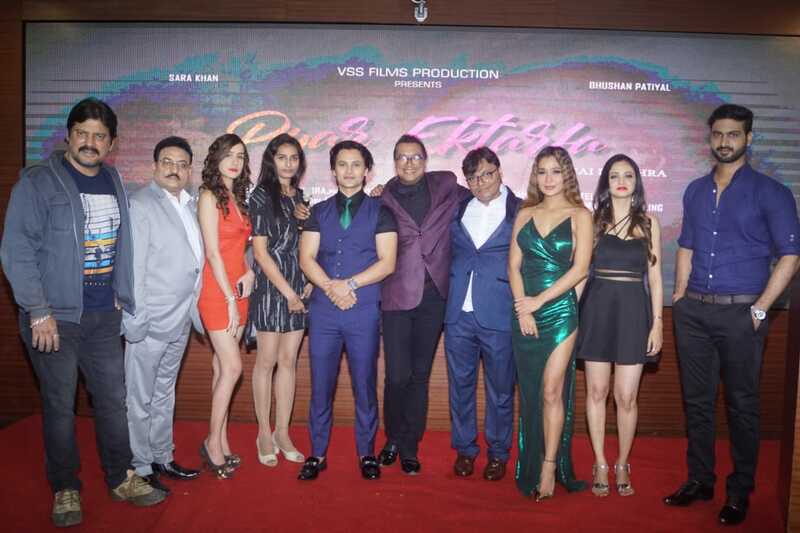 Sara Khan who is gearing up for her upcoming film, 'Pyar Ektarfa' says she is looking forward to working in her favorite genre.Sara along with co-star Bhushan Patiyal, director Jai P Mishra and producer Vinod Sargar interacted with media at the launch of 'Pyar Ektarfa's first look on Tuesday. When asked about her character in the upcoming horror flick she said, "The amazing part about this film is that my character has a lot of shades. And for an actor, it important because it feeds your creativity. She is someone who is really very strong and has many tones to her story. And the script is wonderful. Plus this is a horror and I love Horror movies so I am very thrilled to start working on this project with Bhushan Patiyal." 'Pyar Ektarfa' is a volatile story of modern times that depicts the complexities and darkness of love, lust and romance, encompassing the pious values of life like surrender, devotion, regard and respect. Talking about working together for the first time, Bhushan said, "We have just met today since this is the commencement of the film. Unfortunately, I haven't had the chance to see Sara's Tv shows but I have seen her Music videos and I am looking forward to working with her." Sara adds, "We will look at the script now and begin prepping and if you start living your character it becomes easier to understand it. So I believe in living the character and since its horror, it will be even more fun." The film also stars Vivek Singh, Shubhangi Latkar, Jaya Ojha and Ashiesh Roy. 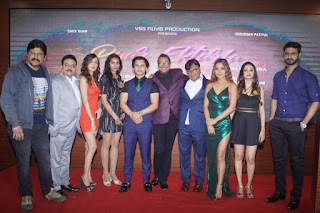 Director Jai P Mishra and presented by VSS Film Production 'Pyar Ektarfa' will go on floor in coming months.